MACON, Ga. — Blue Bird Corp. (NASDAQ: BLBD), the leading independent designer and manufacturer of school buses, announced today its fiscal 2019 first quarter results. A brand-new Blue Bird bus awaits its passengers last year in the Los Angeles-area. Photo by David George. Compared with the prior year, Blue Bird improved its net loss and adjusted net income, up $6.6 million and $1.6 million, respectively. Blue Bird improved adjusted EBITDA by $0.1 million in the quarter, to $7.2 million, despite lower volumes. Diluted EPS and adjusted diluted EPS were significantly higher than last year, up 31 cents and 9 cents, respectively. Net sales were $154.9 million for the first quarter of fiscal 2019, a decrease of $7.6 million, or 4.7 percent, from the prior year period. Bus unit sales were 1,600 units for the quarter, compared with 1,705 units for the same period last year. First quarter gross profit of $19.1 million represented a decrease of $1.5 million from the first quarter of last year. Net loss was $1.2 million for the first quarter of fiscal 2019, an improvement of $6.6 million, compared with the same period last year. Adjusted net income was $1.3 million, representing an increase of $1.6 million, compared with the same period last year. Adjusted EBITDA was $7.2 million, representing an increase of $0.1 million, compared with the first quarter of the prior year. Webcast participants should log on and register at least 15 minutes prior to the start time on the Investor Relations homepage of Blue Bird’s website, at http://investors.blue-bird.com. Click the link in the events box on the Investor Relations landing page. Participants who want audio only should dial 800-289-0438 or 323-794-2423. 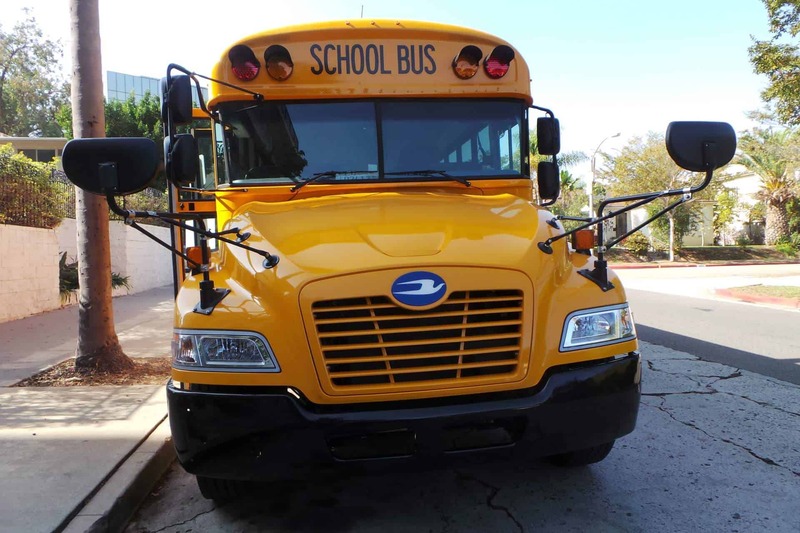 As the only manufacturer of chassis and body production that rare specifically designed for school bus applications, Blue Bird is recognized as an industry leader for school bus innovation, safety, product quality/reliability/durability, operating costs and drivability. In addition, Blue Bird is the market leader in alternative fuel applications, with its propane-powered and compressed natural gas-powered school buses.